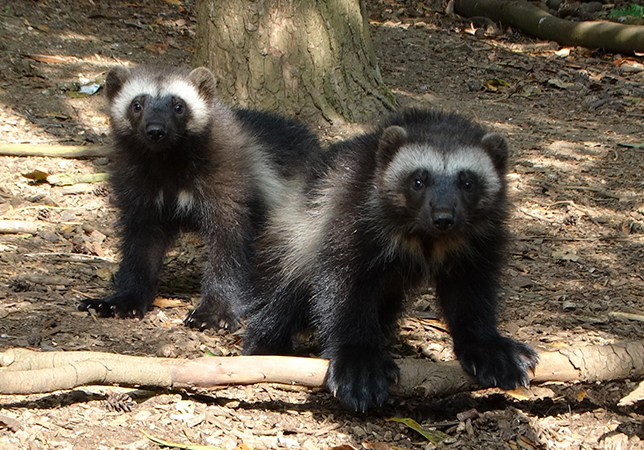 Cotswold Wildlife Park is home to three new Wolverine kits. After spending approximately nine weeks hidden away in their underground den, the triplets are beginning to venture out and explore their new woodland enclosure under the watchful eye of parents Sarka and Sharapova. The Park made history in 2012 as the first collection in the UK to successfully breed Wolverines (Gulo gulo) in captivity. These new arrivals are Sarka and Sharapova’s third litter and are testament to the Park’s excellent European Endangered Species Programme (EEP). Breeding is notoriously difficult with this species, so the youngsters are encouraging news for future generations. The triplets are the only Wolverine births in the UK this year – with just five other European zoological collections having successfully bred this species in 2018 (their breeding season is now over). Females have a reproductive strategy known as embryonic diapause or delayed implantation. The embryo does not immediately implant in the uterus, but is maintained in a state of dormancy which allows pregnant females to fine-tune births and wait for the best possible conditions. Reproduction is hugely energetically expensive for any animal. If the environmental conditions aren’t able to support a female through the intense periods of pregnancy and nursing, it makes little sense to put energy into giving birth to young that may not survive. 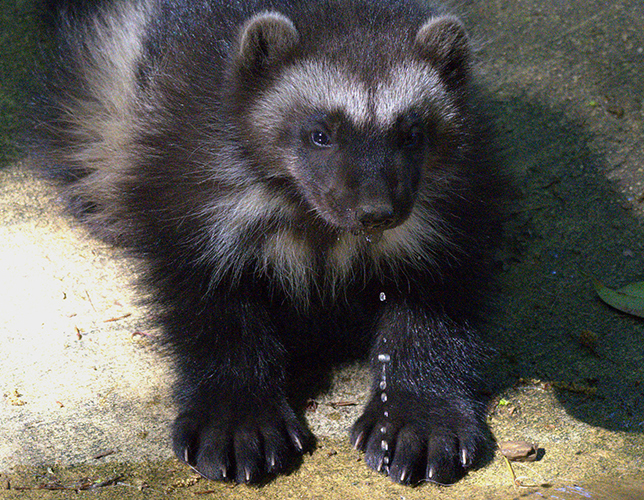 Diapause can last up to ten months in Wolverines. In the wild, when females are ready to give birth, they excavate long, complex snow tunnels for reproduction dens. They give birth to kits and shelter them from predation and harsh weather until weaning time. Newborns are altricial and covered in white fur with a pungent waxy substance on their pelage. This acts as a great defence against predators while the kits are vulnerable. Males do not assist in the rearing of young. Recent studies have yielded important new insights into the nature of the Wolverine’s ecological niche. Unfortunately, these findings don’t bode well for the species’ future as the planet – and particularly the Arctic – continues to warm. Wolverine researcher K. B. Aubry* warned: “The Wolverine may be second only to the Polar Bear in its sensitivity to global warming”. In America, this species once roamed across the northern tier of the United States and as far south as New Mexico in the Rockies. They are facing local extinction due to climate change and habitat loss. Approximately 300 individuals are believed to exist in the lower 48 states of America. 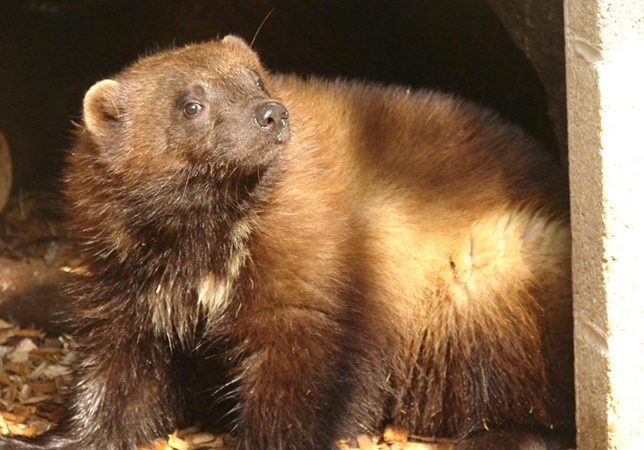 In 2016, after a 20-year battle to protect these reclusive animals, the United States District Court for Montana finally granted the Wolverine the designation of a threatened species. * Distribution and broadscale habitat relations of the Wolverine in the contiguous United States, Journal of Wildlife Management (Aubry, K.B, 2007). Autumn arrivals: Largest rodent species in the world produce their first litter at Cotswold Wildlife Park. Cotswold Wildlife Park’s first Porcupette twins show off their quills. Cotswold Wildlife Park welcomes rare Cotton-top tamarin twins. Cotswold Wildlife Park’s first ever hand-reared Flamingo chicks spread their wings.